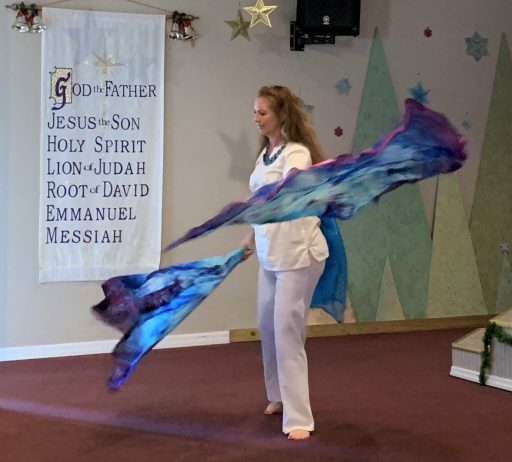 Our Worship Expressions Team led by Sharon Menzie and Cindy Anderson, share the message of the Bible in dance. 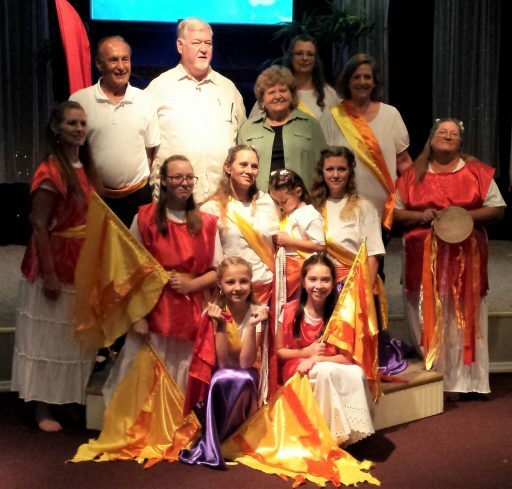 We have special music and dance for the main Biblical focused events. We have one for Christmas, Easter, Pentecost and anytime the Lord is leading us in a specific direction. 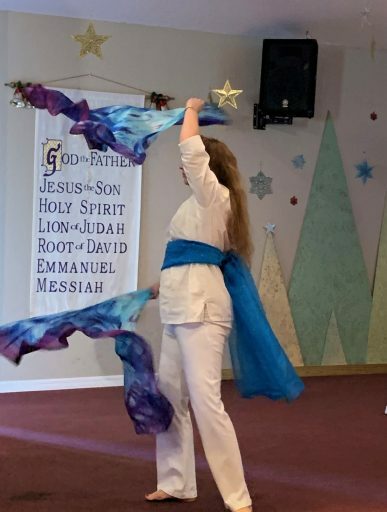 Anyone who is skilled fills in the lead roles and then those who just want to express their love of God through dance joins in the lesser skilled parts. It is wonderful to see both children and adults of all ages share in this ministry.